Md. 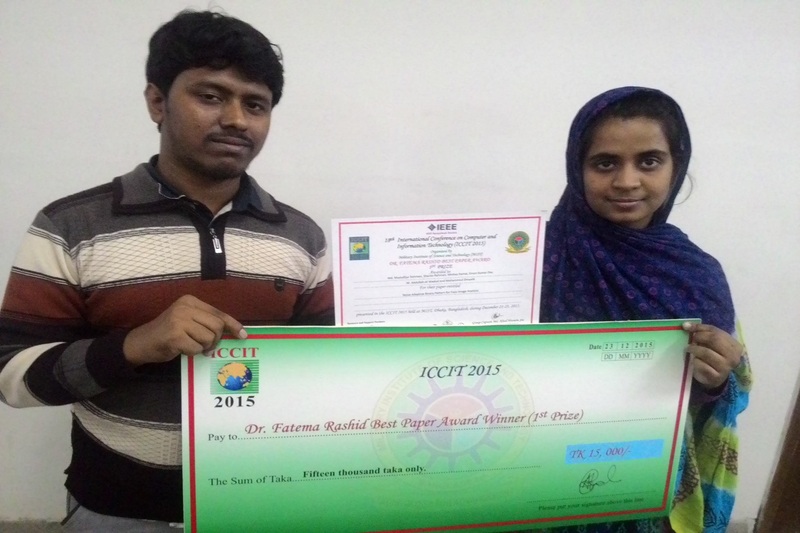 Mostafijur Rahman, a graduate student from MSSE 3rd batch has received Dr. Fatema Rashid Best Paper Award at the ICCIT 2015 held at Military Institute of Science and Technology (MIST). His paper was entitled as "Noise Adaptive Binary Pattern for Face Image Analysis".